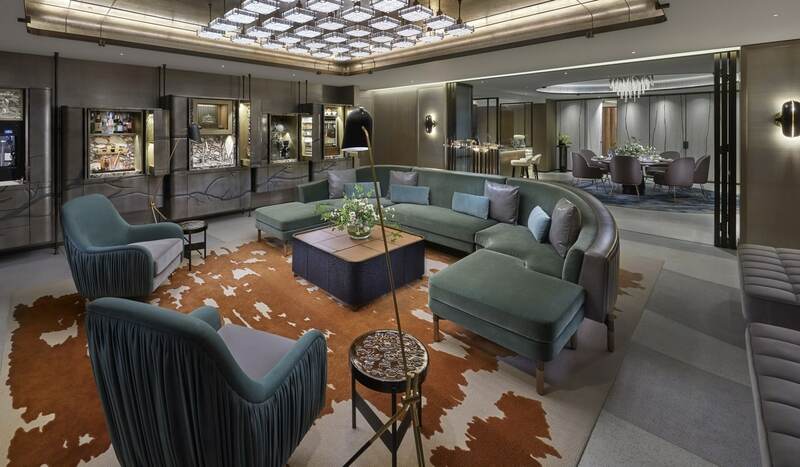 Mark our words- the ‘Entertainment Suite‘ will quickly become the only place to host extravagant events in Hong Kong. Designed in the style of a luxury private apartment, this glamorous new 2,250 square foot suite has everything you need to throw a party fit for a king, whether that be a wedding proposal, baby shower, sophisticated bachelor party, exclusive product launch, or memorable anniversary party. Guests will have on hand: an in-suite DJ booth, a B&O BeoLab sound system, a 160 inch TV, a laser projector, a custom-designed coffee table with built-in PlayStation consoles and virtual reality gaming equipment, a retro American jukebox, a ‘Cabinet of Delights’ with boutique wines on tap and a mixologist booth, a popcorn machine, Cuban cigars, and a crystal vitrine filled with delicacies created by the hotel’s Michelin-star chef. 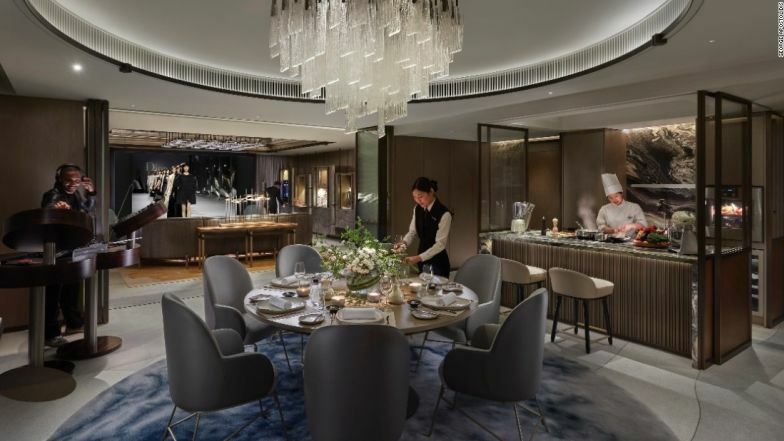 Designed by award-winning Hong Kong architect and designer, Joyce Wang, with cutting edge technology installed and no expense spared, the ‘Entertainment Suite’ is dedicated to extravagant entertaining. The bedroom, however, is where tranquility reigns. 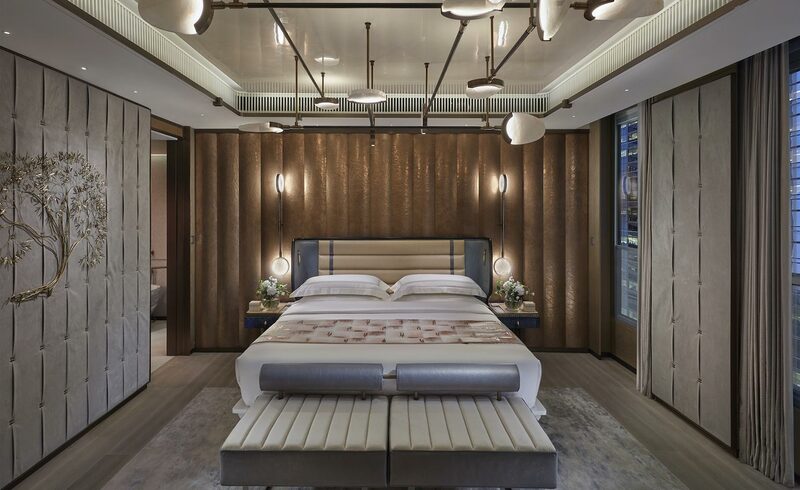 Because The Landmark Mandarin Oriental also has a deep commitment to wellness, and understands that if you party like a king, you have to sleep like a sultan. After hosting their event, guests will find themselves wrapped in the peaceful embrace of a perfect night’s sleep in the master bedroom’s FreshBed. The climate-control technology, ergonomic mattress, and silent ventilation delivering fresh, purified air will ensure that any “host with the most” is rewarded by a perfect, deep sleep after a job well done.